Over the years, as a composer and teacher as well as a classical music DJ and just a plain old music lover, I have been fascinated by the continuity of classical music, its ability to endure through the centuries and constantly adapt and change with each successive generation – which led me to a kind of “musicological genealogy” following composers back in time through their teachers, the reverse process of the biblical Begats. While “finding ones roots” is not a new thing, I'm not sure how many composers actually are conscious of their “musical ancestry.” It's not that these may be conscious influences or even “known quantities” in their musical up-bringing or the music they would create, just as whatever role being George Washington's 11th Cousin 33-times-removed has on your likelihood to get a decent-paying job, but still, there's some curiosity in where we “musically” came from and how far back we can trace one generation's teacher to another. 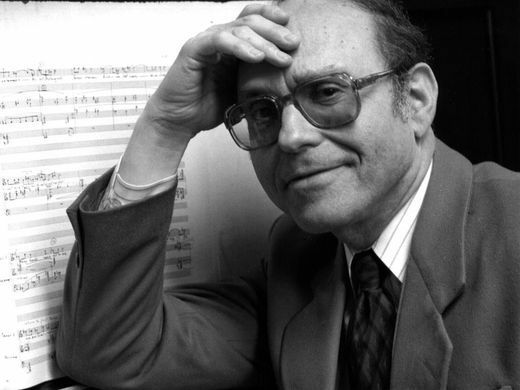 Between 1971 and 1974, when I was a student working on my Masters and Doctorate degrees at the Eastman School of Music, I was one of many students taking lessons from Samuel Adler. I admit, when I chose a graduate school following my studies at Susquehanna University (Class of 1971), where my composition teacher was James Boeringer, I chose Eastman first and, as I remember the process, Adler specifically because he had studied with Paul Hindemith. It wasn't because I was necessarily fond of Hindemith's music (which I liked but would never have counted him as one of my favorite composers) or knew that much of Adler's music: I had recently accompanied a friend in Adler's Horn Sonata which, as an early work, reminded me very much of Hindemith. I also remember talking with Sam (as everybody called him) about having studied with Hindemith and the only thing he said was “the first thing he told me was, 'I have no interest in turning you into a Little Hindemith,'” just as Sam never tried to turn me into a Little Adler. It wasn't to learn to write like your teacher, but to learn to compose on your own. I'm still trying to do that and the prep work on this Piano Quintet I've been working on for almost a year was stuff I should've been doing thirty years ago... but that's another story. I might have chosen any school for my grad work, maybe, but being an introvert I naturally shied away from big, competitive schools like Juilliard in big, competitive places like New York City, knowing, as it was, I was jumping from a very good small pond in a small town to a very good large pond in a small city where I would still be a very small fish indeed but figured the odds of my surviving were a little better. Whether it turned out to be a wise choice for me or not, in the long run, considering the way my career and my musical life turned out, it was what I had chosen. And while many of my friends and fellow Adler students went on to solid careers in music as composers or teachers or both, I wonder how many of us – or our teacher himself – are aware that we can trace these musicological roots back to a composer who wrote something we'd probably all heard in our first music literature classes, something that was written in 1648: the final chorus, “Plorate filii Israel,” from the first known oratorio, Jephte, by Giacomo Carissimi. How ironic to recall when I was a freshman in Frederic Billman's “Introduction to Music Literature” class at Susquehanna University in 1967 and heard this for the first time, it practically brought me to tears; I remember sitting in the library under these horrendously uncomfortable headsets, listening to the recording on our listening list over and over again. There were other pieces of music that may have inspired me more as a composer – Benjamin Britten's Peter Grimes or Penderecki's St. Luke Passion just to name two – but I heard this piece of music from over three hundred years earlier and thought “how amazing something could be so simple and so beautiful”; as often happened when deeply affected by something, I thought, “I wish I could have written that...” Well, if I'd lived three hundred years earlier, maybe... But still, what a gorgeous piece of music. One that resonated with me then - and still does. How even more ironic, then, today I've discovered its composer is my great-great-great-great-great-great-great-great-great-grandteacher! While researching something for the novel I've recently resumed work on after a long hiatus, my fourth (or so) classical music appreciation comedy-thriller, In Search of Tom Purdue, I was looking for some association between the teacher of one of my historical characters (in this scene, the American composer John Knowles Paine) and Felix Mendelssohn. Since it is a work of fiction, after all, I could naturally just make someone up but I decided to use Paine's teacher when he studied in Berlin as a young man: did Carl August Haupt have any association with Mendelssohn? Well, yes, one of his students was Arnold Mendelssohn who was a second cousin of the famous composer but born eight years after Felix Mendelssohn died at the age of 38. “Oh look,” I thought, “Haupt was taught by a Bach,” though this particular Bach was not related to that particular Bach. I then started looking at who might have taught Paine's teacher's teacher and found out that was Carl Friedrich Zelter who was an important figure as both mentor and teacher in Felix Mendelssohn's youth. Could there be a connection, perhaps, I could forge between Cousin Arnold (presumably through his father) with the great composer? So, checking Wikipedia, I found something I had not seen elsewhere: Arnold Mendelssohn, though originally intending to become a lawyer before studying composition, later had a student named Paul Hindemith. Now, I'd never done any real research on my teacher's teacher: everything I found never mentioned he had studied with anybody but then, I have to admit, I did not go into this with a scholar's conviction. How old Hindemith was when he studied with Arnold Mendelssohn, I have no idea. What he might have learned from Herr Mendelssohn, I have no idea. But there was a connection. And suddenly I realized I could now go back further: it already took me as far back as Zelter in the early decades of the 19th Century (without Zelter, by the way, Mendelssohn might never have managed the resources to give the first “modern” performance of Bach's “St. Matthew Passion”). How much further back would I be able to trace this line? And then it was just a matter of frequent clicking on Wikipedia where I found a list – a very long list if you follow all the potential links – of composers, their teachers and their students! Giacomo Carissimi (1605-1674), one of the leading composers in Italy and who had been invited to succeed Claudio Monteverdi at St. Mark's in Venice (he chose to stay in Rome) and who is credited with having written the first oratorio, Jephte in 1648. Little is known of his early life and there is no record of anyone he studied with. Curiously, that Horn Sonata Adler composed dates from 1948, the year he graduated from Boston University with a Bachelor's degree and had studied with Herbert Fromm and Hugo Norden. 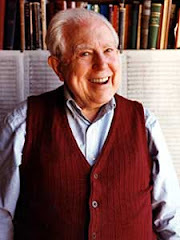 He then attended Harvard where he finished his Masters in 1950 after studying with, in addition to Hindemith, Aaron Copland, Paul Pisk, Walter Piston and Randall Thompson. (Curiously, that means he wrote the Hindemith-influenced Horn Sonata before he studied with Hindemith.) I suppose I could just as easily have tried tracing a line back from any of these to see how far it might reach, since a student absorbs any number of influences whether it's directly from his teachers or not. And it is rare that a composer would have only one teacher. But there is something to "connecting the dots" to find out there are some pretty big dots looming behind me. Art as well as life is full of epiphanies. And given the times I'm trying to live in, anything like this adds a little glimmer to the day. Now, I should probably get back to work on that Piano Quintet I've been dealing with lately. 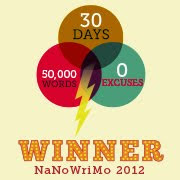 So far, I've completed the first and last movements and I'm getting ready to start the slow movement. I wanted it to be a set of variations on a kind of chorale-like theme, though entirely original. Now I'm thinking perhaps Carissimi's chorus might serve as a model or "source-material" for that. It would be entirely appropriate: for reasons too long to go into, here, the work is entitled Labyrinth.